Contrary to previously held beliefs that bilingualism wonder hinder cognitive and language development in children, research has shown that bilingual children show enhanced cognitive flexibility and an ability to better focus their attention. 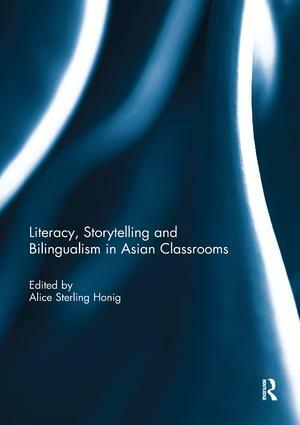 This book explores both emergent literacy and bilingualism in children in four Asian countries - Hong Kong, Singapore, Myanmar, and Taiwan, giving specific examples of how adults (including parents, teachers, and other education professionals) can use creative interaction – as opposed to rote learning – to increase children’s interest in learning English as a second language. This is especially important in the increasingly computer-connected world, where innovation can be key in making second language learning both interesting and effective. Specific contributions to this volume include a case study of Taiwanese families analyzing home videos of their children’s responses to the task of reading a Mandarin picture book; of vocabulary instruction in Hong Kong which requires children to gain triple language proficiency (Cantonese, English, and Mandarin); of the relation between Cantonese proficiency amongst 5 year olds in Hong Kong and their receptiveness to learning new English vocabulary; of the relation between English reading ability and Mandarin speaking ability amongst Singaporean children; of the importance of teachers’ sensitivity to gender differences among 6 year olds in Singapore learning English as a second language; of the active promotion of storytelling by teachers in Myanmar, in order to develop children’s interest in story structure, and to stimulate early language skills; and of an emphasis on family-based emergent literacy activities for children in Taiwan. This book was originally published as a special issue of Early Child Development and Care. Alice Sterling Honig is Professor Emerita in the Department of Child and Family Studies at Syracuse University, NY, USA. She is a licensed psychologist, working to help families with life problems, and has conducted volunteer workshops for divorcing parents with custody issues. She is the author or editor of over 600 articles and chapters, and over twenty books. She is a Fellow of the American Psychological Association, the American Orthopsychiatric Association, and the Society for Research in Child Development.